What Sadie Did: Share my journey! 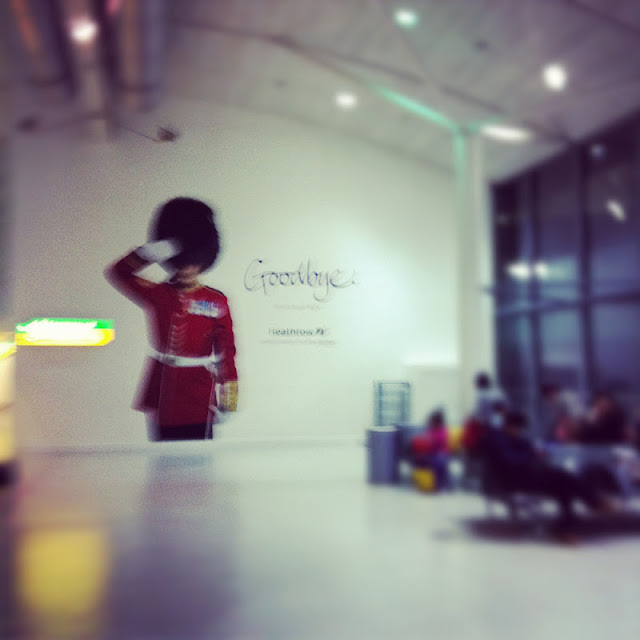 Hello, and thanks for bearing with me as I update you on my last moments in the UK. I'm always sad to say goodbye to my home and my family, especially after spending so long there this time. I'm still missing home right now. Sniff sniff. 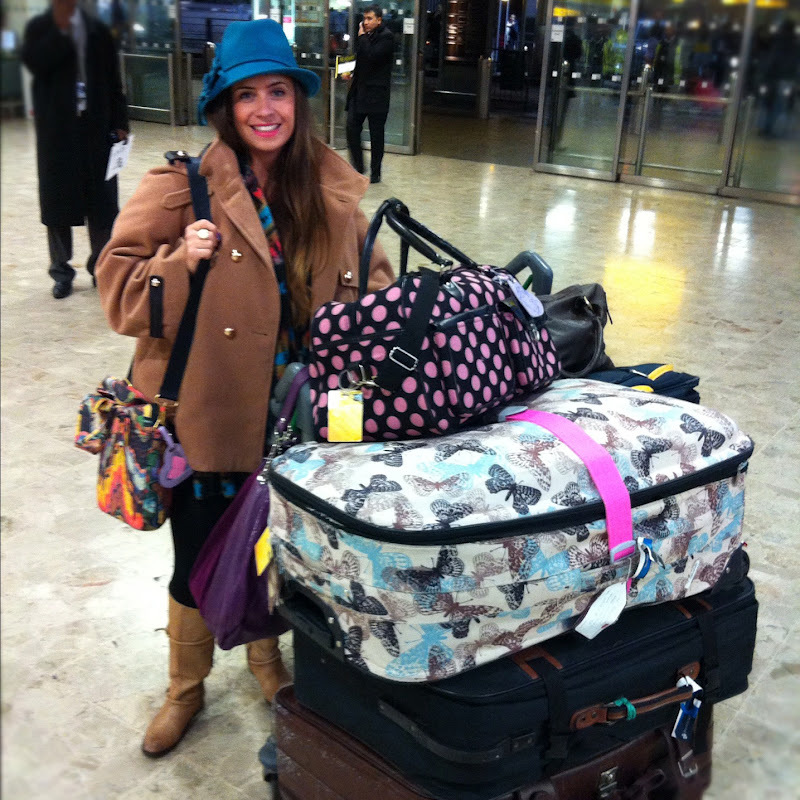 Me and my three suitcases and three pieces of cabin baggage - and the hat I had to wear cos I couldn't pack it! hahaha! 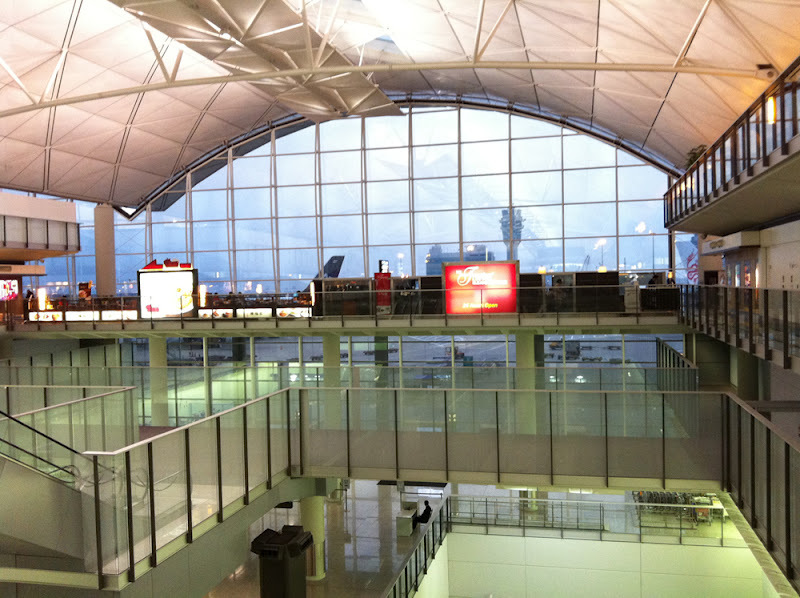 Hong Kong - 13 hours in and a quick stop to refuel, strectch my legs and brush my teeth!! 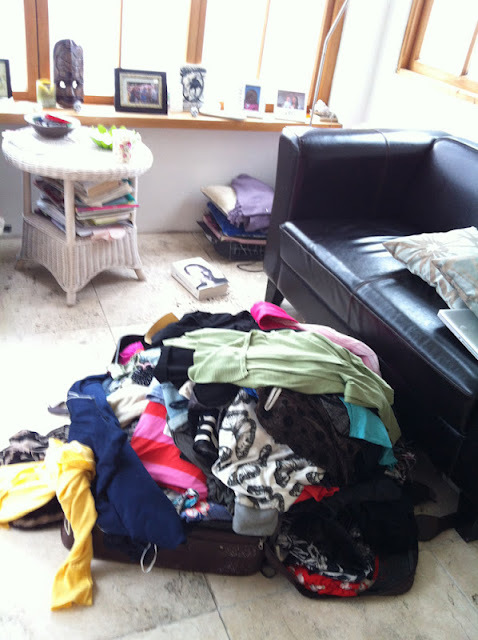 And then eventually I was back at home with tonnes of this to unpack!! And I have to figure out where to store all of these beads and crafty bits. 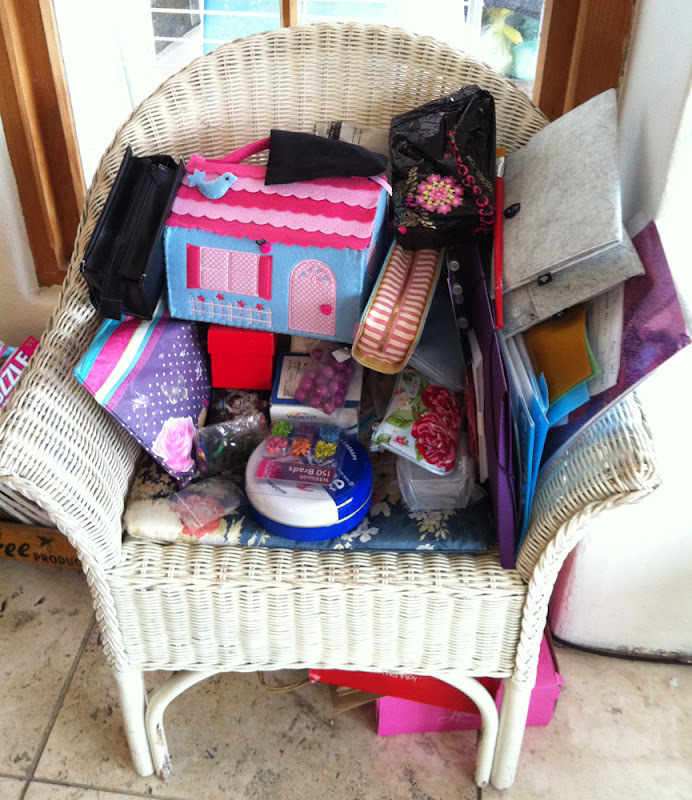 (This about half of what I brought back!!!!) Yes I am mad. Bead-mad. The longest Vacation I ever took was when the now Hubby and I went to Vegas to get married. Almost 5 years ago. It was only 9 days but it changed my life... Literally! haha so much luggage, that's what my unpacking looks like usually! OMG!!! How could you have carried all that stuff!! My husband would have killed me!!! Can't wait to see what you will come up with all those beads!! beautiful pics!!!!!!!! 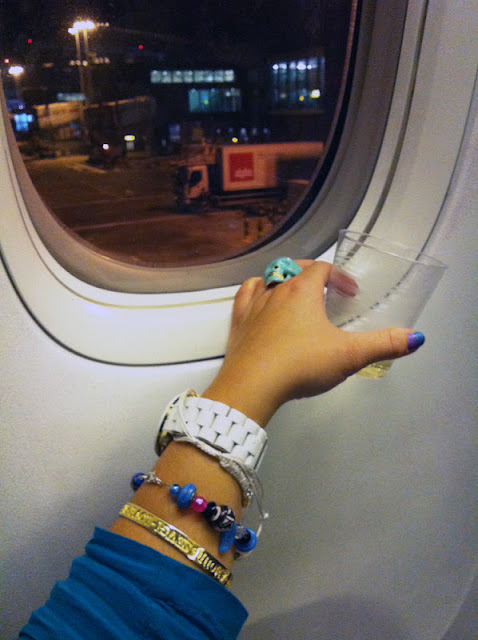 !amazing blog!!! !i'm following you!!! Aaah, it must have been so sad saying goodbye to your family. I'm so soppy when it comes to goodbyes...always cry!! The longest vacation I've had was our 2.5 wk honeymoon. Looking forward to seeing your creations with all those wonderful beads. wow your suitcases are huge! I have a feeling I would need more luggage though I would go sooo crazy spending in the UK there are so many awesome shops over there! I love that hat you are wearing too great colour my dear!